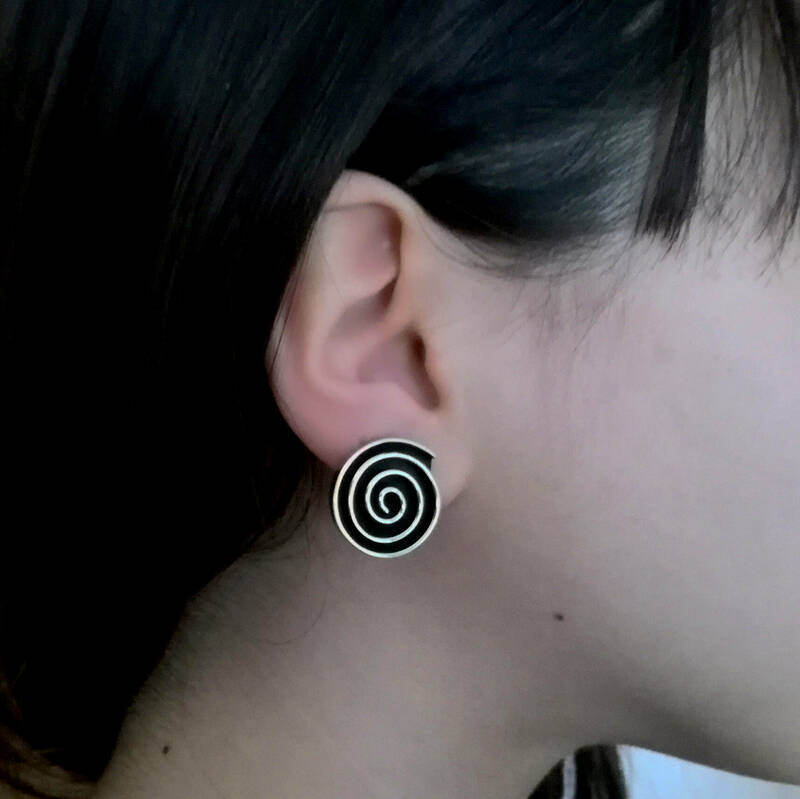 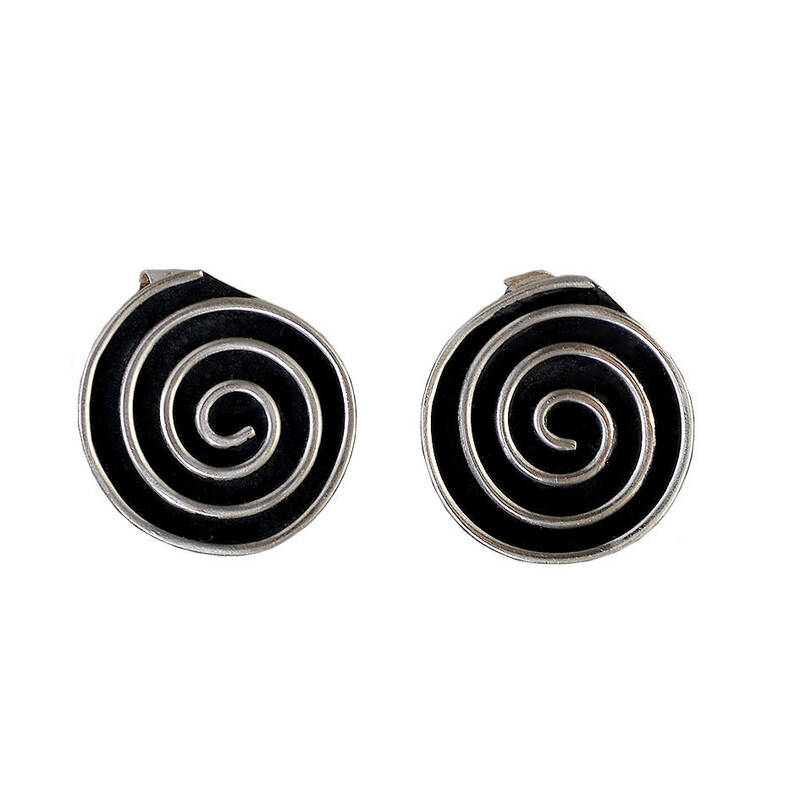 Spiral disc earring circle swirl studs made of alpaca. 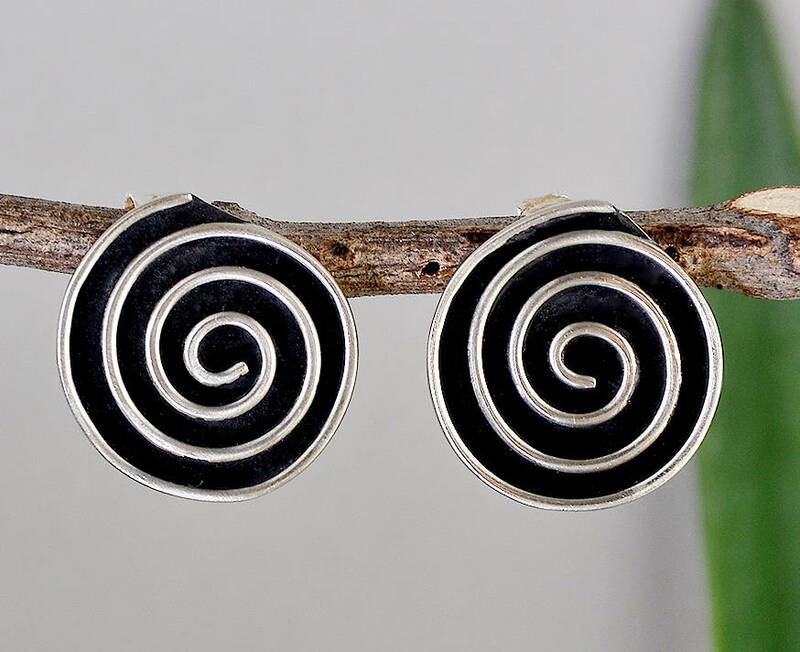 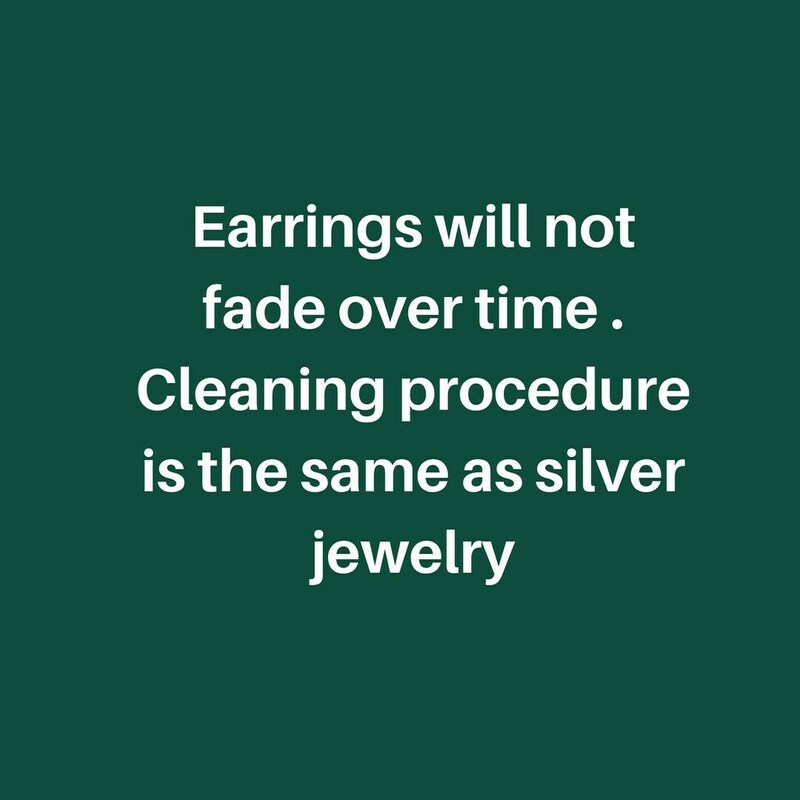 Silver or gold infinity boho earrings. 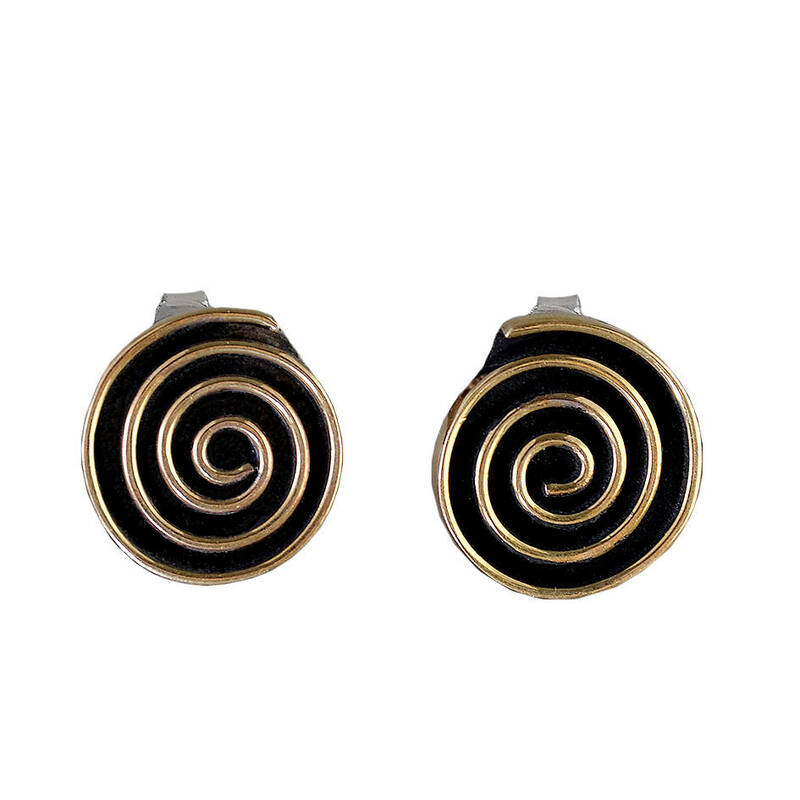 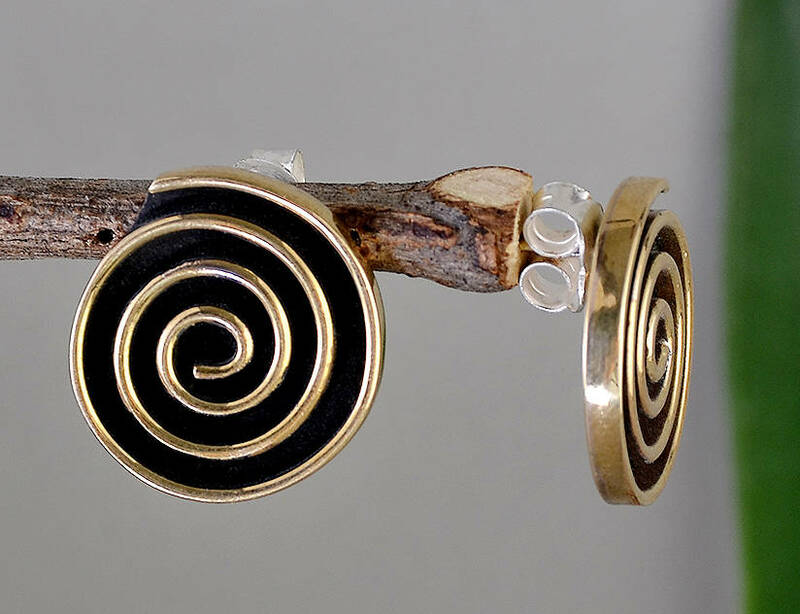 These karma posts twisted earrings are part of our alpaca jewelry collection. 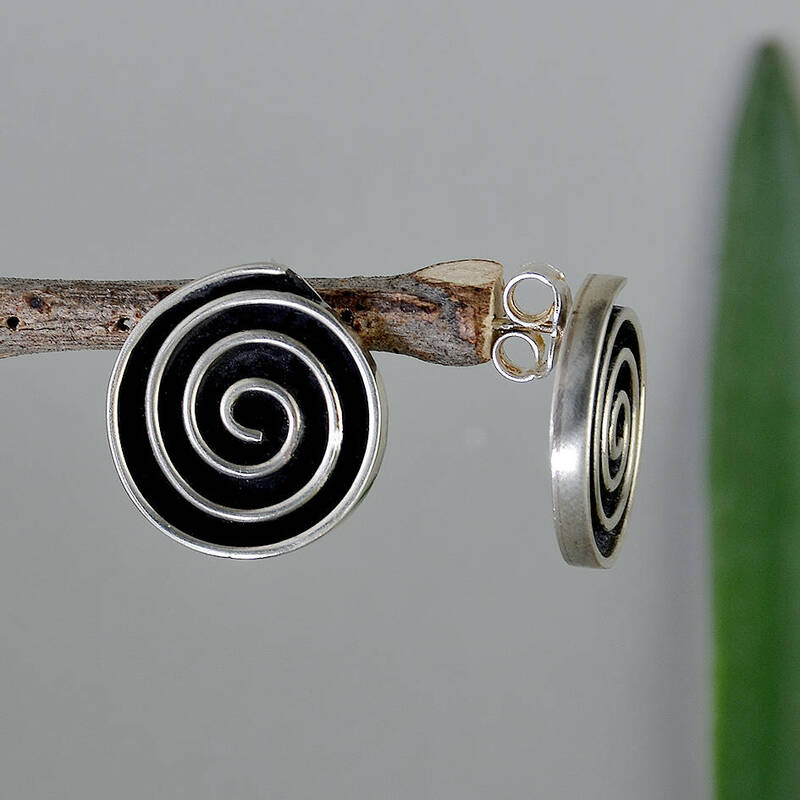 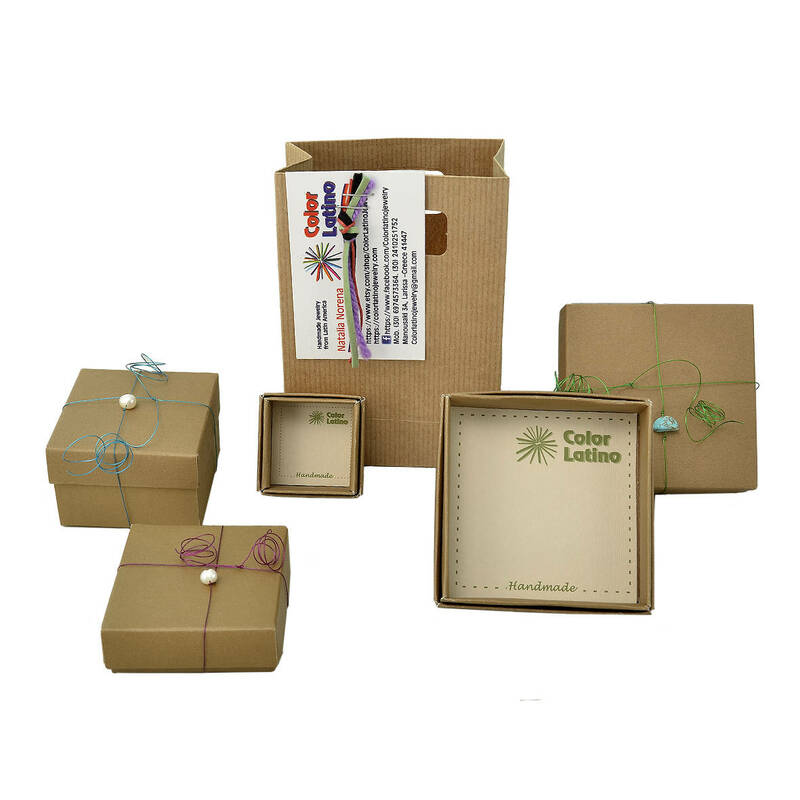 Designed in an alpaca or tumbaga sheet, cut the circle, oxidized and finished with a spiral handmade design from alpaca wire.